In an age like ours, where such a heavy emphasis is placed on self-promotion and polishing one’s own public image, messages such as this one are neither popular nor appreciated. At a time when looking good is considered more important than being good . . . when an impression makes a bigger splash than integrity . . . who has time for things like submission and humility, dependence and trust? Furthermore, who these days would choose grace over power or prayer over taking charge? And yet, if it is true satisfaction we want and lasting relief we crave, there is a “formula” in the New Testament that will make it happen. The formula is not complicated nor is it restricted to a few. And yet, strangely, not many choose to live their lives by this God-given game plan. Those who do never regret it. 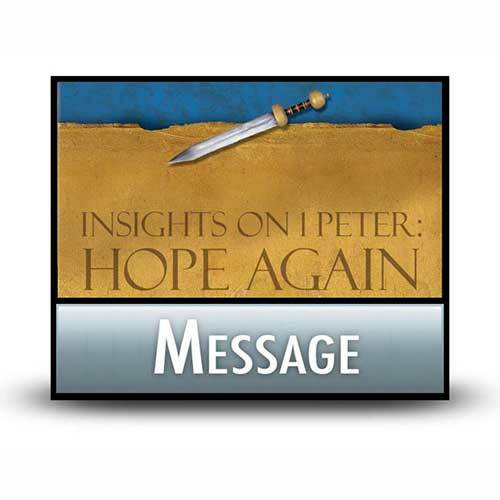 Insights on 1 Peter: Hope Again. Copyright © 1989, ℗ 2011 by Charles R. Swindoll, Inc. All rights are reserved worldwide.